It’s the height of vegetable-growing in south Florida. Locally-grown tomatoes, strawberries and zucchini are at their peak right now. The best part is that the prices for these are at their lowest, so we stock-up on as much as we can consume without having any of it go to waste. In the past we’ve posted numerous recipes featuring zucchini (see list below), but here is a very tasty appetizer utilizing our locally-grown zucchini, plain yogurt, and tahini. Add some special seasonings and garnish with pomegranate seeds, and you’ve got yourself an eye-appealing, tasty mezze! NOTE: ** If using Greek-style yogurt, thin it out with a little water before using in the recipe. 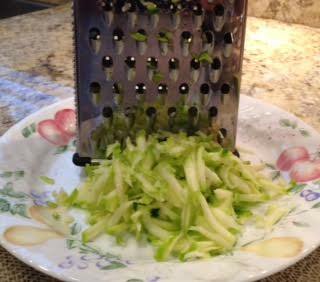 Peel zucchini. 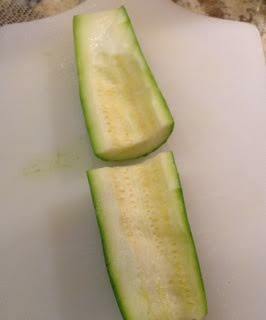 Cut in half lengthwise; if seeds are large, scoop them out and discard. Using a box grater, or a food processor fitted with the shredding disc, shred the zucchini. Place shredded zucchini in a sieve and squeeze out as much of its liquid as possible. Place the 2 Tbsp. olive oil in a skillet over medium heat. Sauté the garlic for 30 seconds, making sure it doesn’t burn. 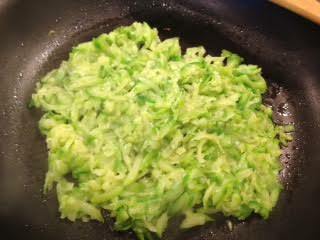 Add the shredded zucchini and dash of salt to the skillet, and cook until zucchini softens and excess moisture evaporates. Remove from heat allowing zucchini to cool. In a mixing bowl, combine the yogurt and tahini, stirring to combine well. Stir in the lemon juice, sumac, za'atar, and salt. 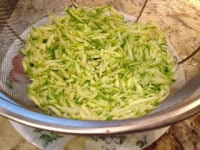 Stir in the cooled zucchini. Taste, and adjust seasonings if necessary. Place dip in a serving bowl. Garnish with pomegranate seeds, finely chopped parsley, and a sprinkling of sumac or za'atar, if you wish. 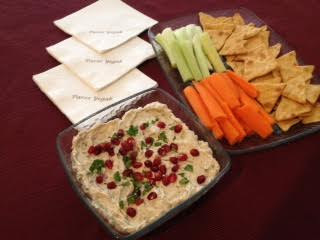 Serve dip at room temperature with pita chips and/or vegetable sticks. 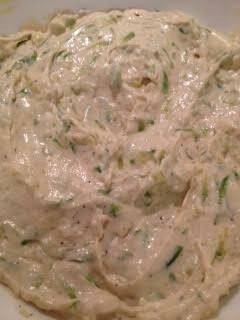 Here are some previously posted zucchini recipes from The Armenian Kitchen. Click on the name to view the recipe. Sounds good! Here in Utah we won't be picking our own tender garden zucchini until the end of May. Once they start, there are always plenty and we can always use recipes. I just found this blog recently and I am enjoying it very much! 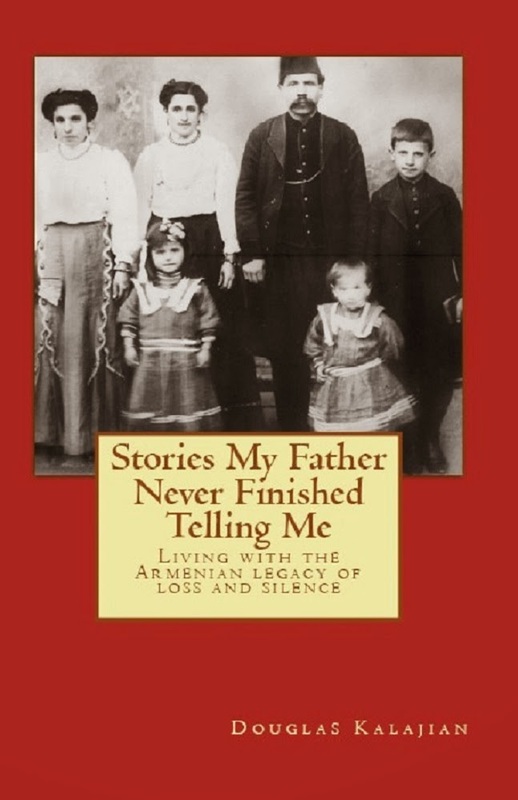 I am not Armenian, but Please know that I am a friend! 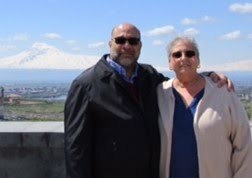 Welcome to The Armenian Kitchen family, Richard!